Join us for Arrowhead's Annual Cardboard Sled Race! Click here for rules, regulations, and more information! Arrowhead is run 100% on volunteer power, and we're looking for you! 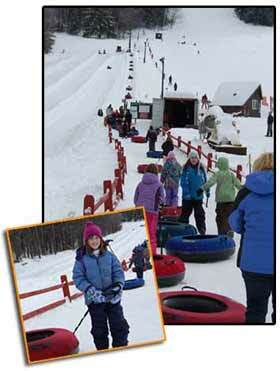 Don't wait to do your tubing release form at the ski area, do it online and avoid the wait! Access the form directly here. Annual Cardboard Sled Race pictures.